(Live Test 7). 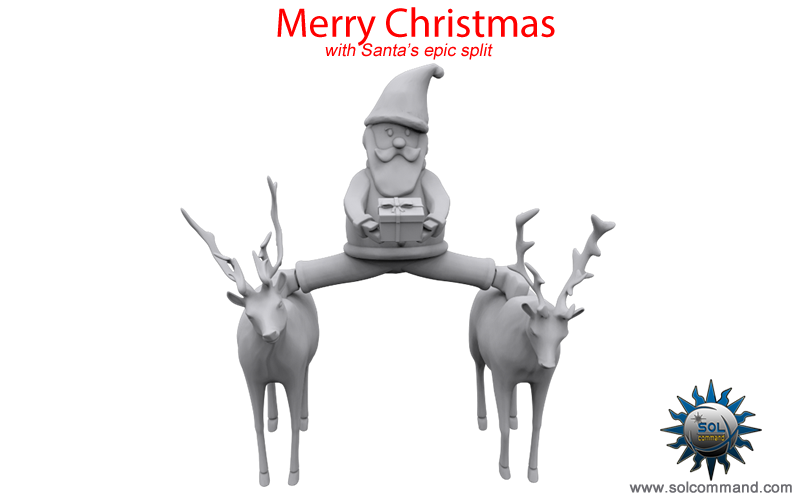 Printable Santa 3D model. Santa has had his ups and downs, his fair share of bumpy roads and heavy winds but that's what made him what he is today. Now he stands here before you. What you see is a gift inside a box crafted to perfection, a pair of reindeers that defy every order they get and a mindset to master the most epic of splits. Forget Van Damme and Chuck Norris, those guys are pussies ! This year Santa is teaching them all how an epic split is properly done ! Merry Christmas guys and thank you for a great year !